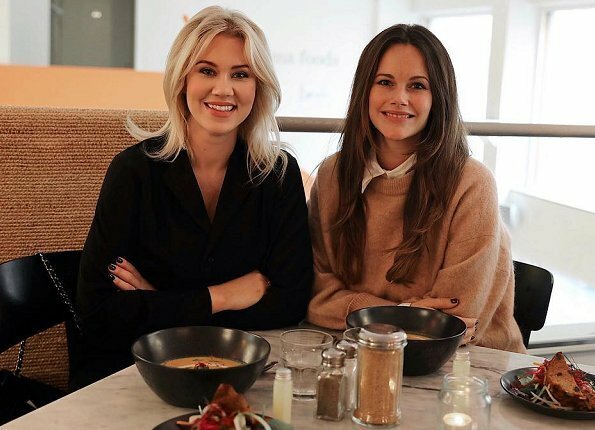 Princess Sofia of Sweden got together with her close friend Swedish entrepreneur, author, lecturer and blogger Isabella Löwengrip (also known as Blondinbella) and had lunch with her. Blogger Isabella Löwengrip shared on her blog a photo showing herself and Princess Sofia together, which was taken during that lunch. According to what Isabella Löwengrip wrote on her blog, little Prince Gabriel was also present at that lunch with Princess Sofia..
A pretty photo of two pretty young women!